The interior of the premium large-capacity pullout has been newly developed and in every sense enhanced.The new design edition is characterised by a harmonious upgrade: the railing now consists of elegant, clear glass, the steel framework was covered and the guide rail technology concealed with a new rear panel. The rear panel makes the unit look more compact and also prevents items from falling down the back. 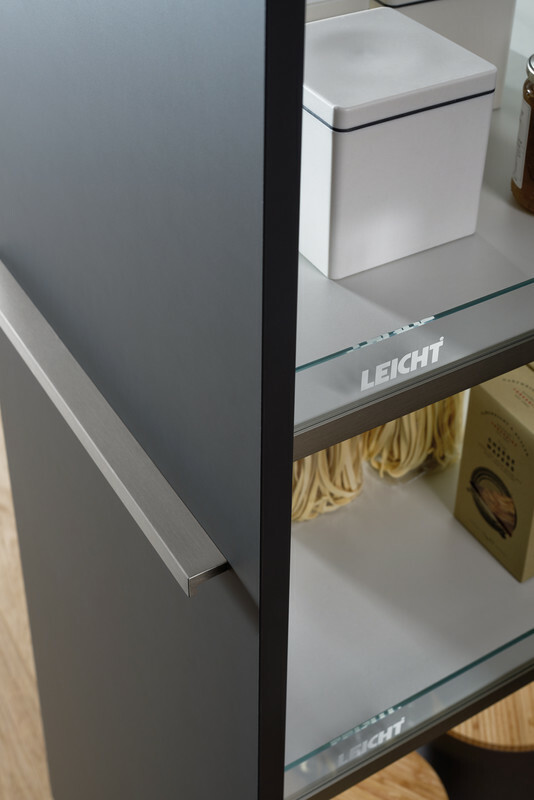 The open pullout now looks like a top-quality presentation area for personal kitchen utensils; you no longer need to "hide" anything.